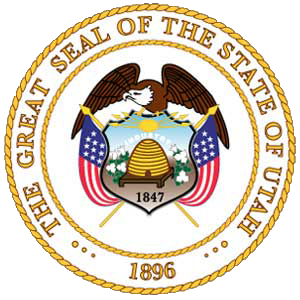 A list of Utah Candidates for Congress are listed below by congressional district. Thousands of years before the arrival of European explorers, the Anasazi and the Fremont tribes lived in what is now known as Utah. These Native American tribes are subgroups of the Ute-Aztec Native American ethnicity, and were sedentary. The Anasazi built their homes through excavations in mountains, and the Fremont built houses of straw before disappearing from the region around the 15th century. Another group of Native Americans, the Navajo, settled in the region around the 18th century. In the mid-18th century, other Uto-Aztecan tribes, including the Goshute, the Paiute, the Shoshone and the Ute people, also settled in the region. These five groups were present when the first European explorers arrived. The southern Utah region was explored by the Spanish in 1540, led by Francisco Vasquez de Coronado, while looking for the legendary Cíbola. A group led by two Catholic priests—sometimes called the Dominguez-Escalante Expedition—left Santa Fe in 1776, hoping to find a route to the coast of California. The expedition traveled as far north as Utah Lake and encountered the native residents. The Spanish made further explorations in the region, but were not interested in colonizing the area because of its desert nature. In 1821, the year Mexico achieved its independence from Spain, the region of Utah became part of Mexico, as part of Alta California. Trappers and fur traders explored some areas of Utah in the early 19th century. The city of Provo, Utah was named for one of those men, Etienne Provost, who visited the area in 1825. The city of Ogden, Utah was named after Peter Skene Ogden, a Canadian explorer who traded furs in the Weber Valley. In late 1824, Jim Bridger became the first white person to sight the Great Salt Lake. Due to the high salinity of its waters, Bridger thought he had found the Pacific Ocean; he subsequently found that this body of water was nothing but a giant salt lake. After the discovery of the lake, hundreds of traders and trappers established trading posts in the region. In the 1830s, thousands of people traveling from the East toward the U.S. West began to make stops in the region of the Great Salt Lake.